"Before the iPhone came out I heard of graffiti writers using palm pilots to doodle tags on the train. Once I got an iPhone, one of the first apps I got was some scribble app. I used it at least 10 times a day, catching tag after tag, and saving the ones I liked. The app was cool but didn't register strokes fast enough, and didn't offer the right pen shapes. 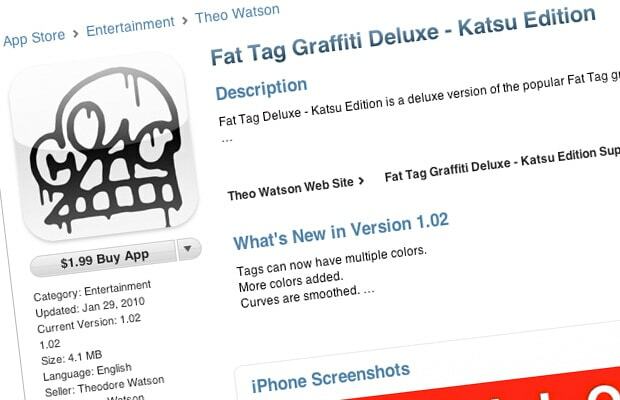 Around this time I was working with Graffiti Research Lab and they hooked me up with the program gurus, Theo Watson, who created the app with me. I had no intention of using it to promote KATSU, I really wanted it to use for myself. I use it daily, though, and now my tag/app icon is on thousands of iPhones worldwide."